The release of Unreal Engine 4.20 is just around the corner and the first Preview build is now available for download on the Epic Games launcher. 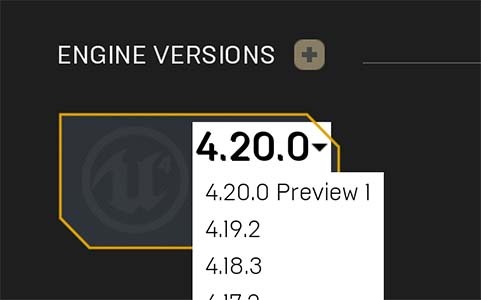 To get Unreal Engine 4.20 Preview 1, head to the Library section on the launcher, select “Add Versions” and choose 4.20 Preview 1. A more inclusive list of upcoming changes in the build has been posted on our forums, where you can leave feedback. Please keep in mind that Preview releases are intended only to provide a sample of what is going to be released in the update and are not production-ready. We recommend waiting for the full release of 4.20 before updating your projects to the new engine version. For now, please use copies of your projects to test new features.